The Grateful Dead formed in 1965 in the San Francisco Bay Area. 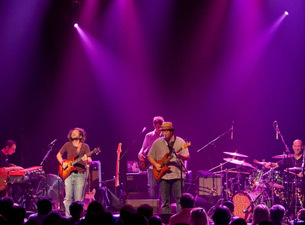 The band was known for its unique and eclectic style, which fused elements of rock, folk, bluegrass, blues, reggae, country, jazz, psychedelia, and space rock and for live performances of long musical improvisation. "Their music," writes Lenny Kaye, "touches on ground that most other groups don't even know exists." 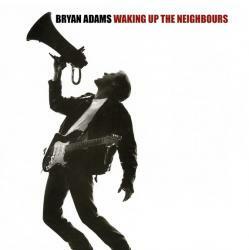 Bryan Adams' sixth studio album, 1991's, Waking Up the Neighbours is filled with big rockers, solid rhythms, and unique songwriting. 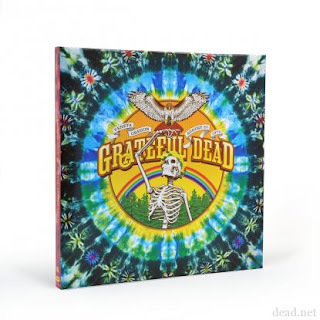 The nearly 75 minute two-record set is loaded with showstopping arena rockers and mid-tempo ballads including five hit singles. The most notable track is the Robin Hood Prince of Thieves theme "(Everything I Do) I Do It for You" which spent seven weeks atop the US pop charts. The song was also a phenomenon in Europe, becoming Bryans' biggest hit ever topping the charts in 16 countries and selling about 10 million copies worldwide and is one of the biggest selling singles of all time. The song was nominated for an Academy Award and won a Grammy Award in 1992 for Best Song Written for a Motion Picture or Television. 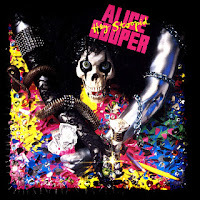 I'd Died and Gone to Heaven," and the fun, straight-ahead rocker "There Will Never Be Another Tonight." Adams co-produced the album with Robert "Mutt" Lange previously known for his work with AC/DC, Foreigner and Def Leppard. 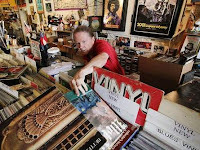 Golden Globes, received 18 Juno Awards, an American Music Award, and five ASCAP Film and Television Music Awards for Most Performed Song from a Motion Picture - his music has appeared on more than 40 movie soundtracks. A HIT-FILLED ALBUM FROM THE ORIGINAL GIRL GROUP! When Shirley Owens, Doris Coley, Addie “Micki” Harris and Beverly Lee got together to sing for a high school talent show in 1957, they had no intentions of becoming professional musicians. However, fate stepped in when classmate Mary Jane Greenberg told her mother, Tiara Records owner Florence Greenberg, about the group. Greenberg signed them to her label, released a single and then sold the label, along with the fledgling group, to Decca Records. 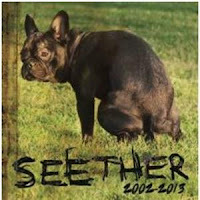 Decca soon dropped them, which left Greenberg free to sign them to her new label, Scepter Records. At Scepter, The Shirelles hit their stride, working with the cream of the Brill Building songwriters. One of these songwriters, Luther Dixon, was hired by Greenberg to write for and produce the group and together they developed the group’s signature sound. Under his guidance, the Shirelles enjoyed seven Top 20 hits and launched the girl group genre. Released as a single in 1961, “Baby It’s You” reached #8 on the pop charts and #3 on the R&B charts. Written by Burt Bacharach, Mack David and Luther Dixon (under the pseudonym Barney Williams), the song has become an enduring classic, covered by The Beatles, Smith and many other artists. 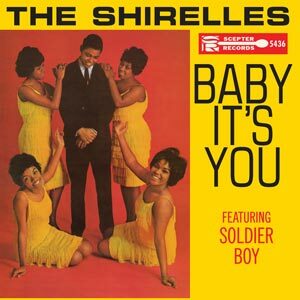 It also served as the title track for The Shirelles’ first album of 1962. Baby Its You features 12 outstanding songs, including their single “Soldier Boy” which topped the Billboard Hot 100. Sourced from the original analog session tapes, this Sundazed reissue faithfully reproduces one of the most influential albums of the early ‘60s (certainly, Barry Gordy would agree). After one listen, you won’t want nobody, nobody but The Shirelles. 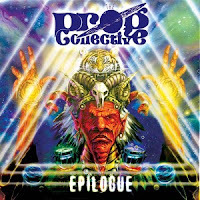 Features performances by mindblowing musicians Billy Sherwood, Steve Stevens, Rick Wakeman, Alan Parsons, Steve Morse, Peter Banks (in his final appearance) as well as Captain Kirk himself William Shatner, PLUS members of Yes, Dream Theater, Nektar Asia, Gong and more! 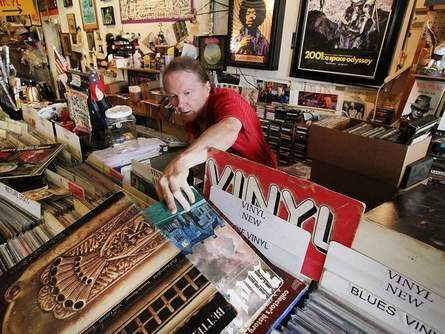 vinyl doing very well in the great state of florida! 5. Beck - Defriended 12"
6. Beck - I Won't Be Long 12"
24. Johnny Cash - Get Rhythm b/w I Walk The Line 7"